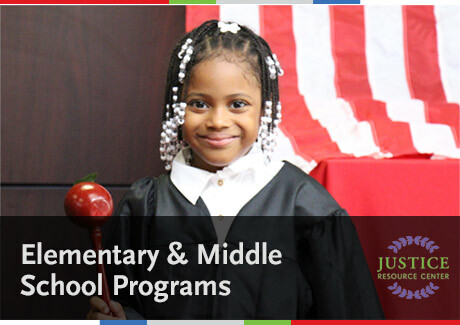 The Justice Resource Center offers professional development workshops on timely, relevant topics related to classroom instruction. Topics include Supreme Court Cases, Death Penalty workshops, cyber-bullying and many other topics suggested by teachers. Workshops are facilitated by partners of the JRC legal community.